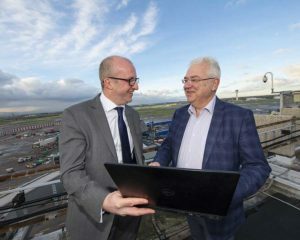 Dublin Airport and the Irish Aviation Authority are bringing in European technology to improve the flow of air traffic at the airport and reduce delays. Both will now incorporate what is known as Airport Collaborative Decision Making (A-CDM) into the management of daily flight operations. A-CDM is under the guidance of Eurocontrol, the European organisation for the safety of air navigation. A-CDM focuses on aircraft turnaround times and pre-departure sequencing processes to boost air traffic flow and operational efficiency of all airport operators by reducing delays and increasing the predictability of events. The implementation of A-CDM aims to increase capacity at participating airports and the capacity of European airspace by offering improved real-time information sharing between airport operators, aircraft operators, ground handlers and air traffic control. It means fewer late gate changes and faster taxi times, which benefit airlines, passengers, the airport and the overall European aviation network. A-CDM has already been implemented at 28 European airports accounting for 37pc of departures.